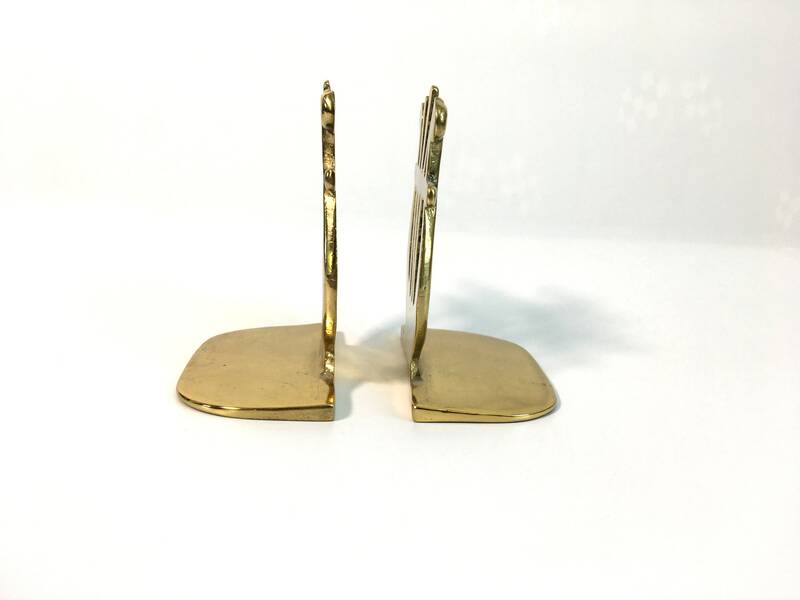 Vintage pair of solid brass bookends shaped like harps. 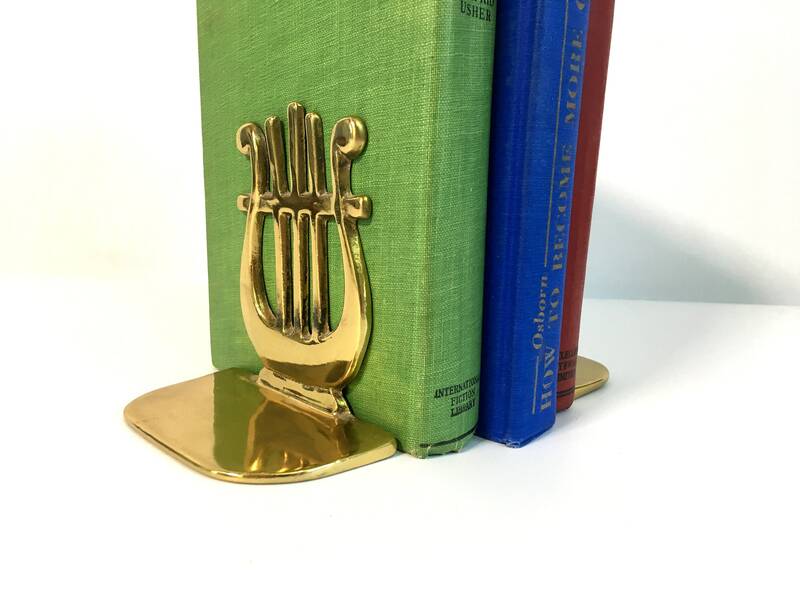 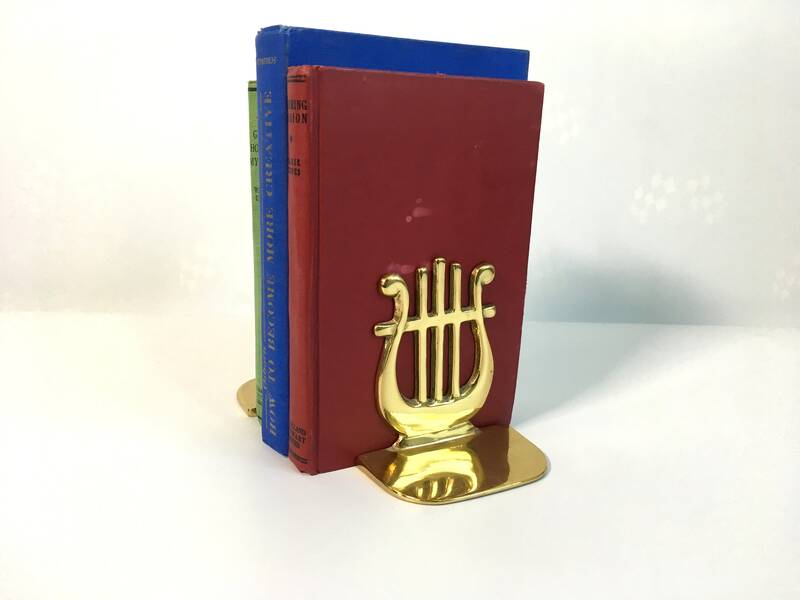 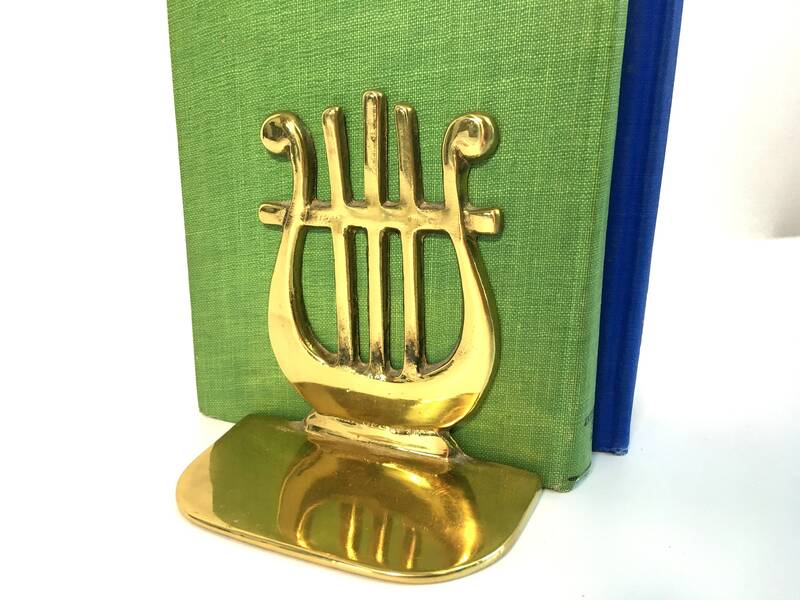 The pair of musical motif bookends have a very shiny finish. 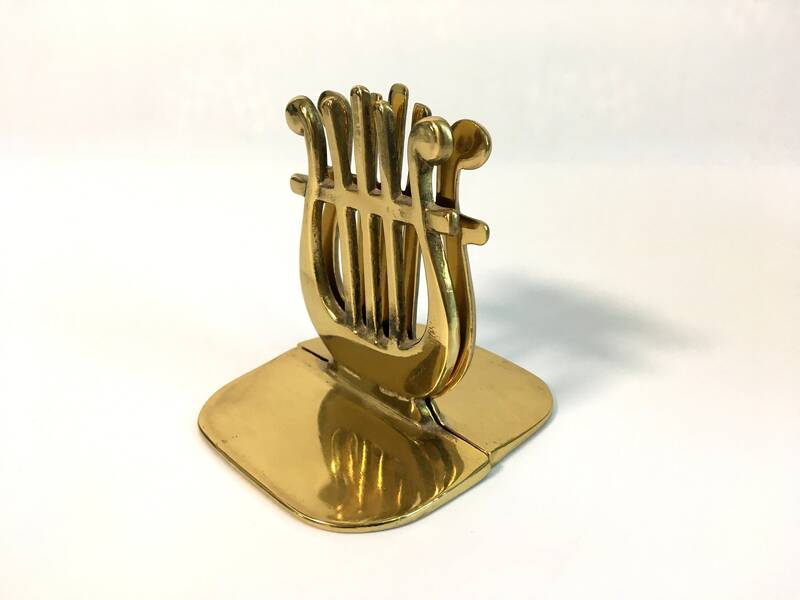 The harps sit on a rounded rectangular base. 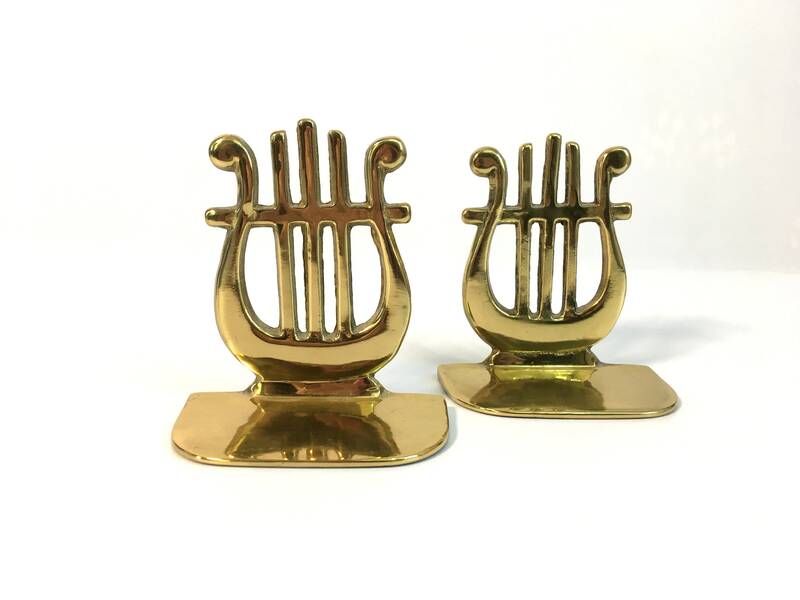 They are unmarked. 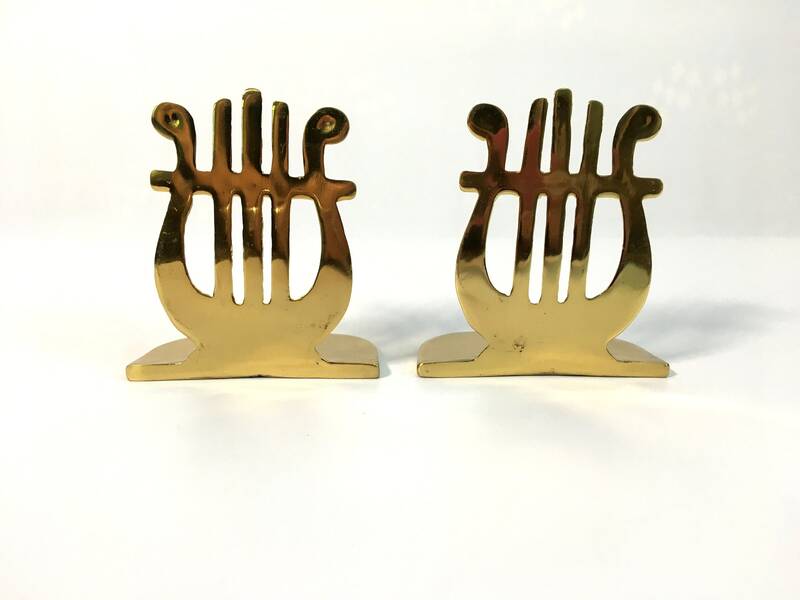 They weigh about 1 1/2 lbs. 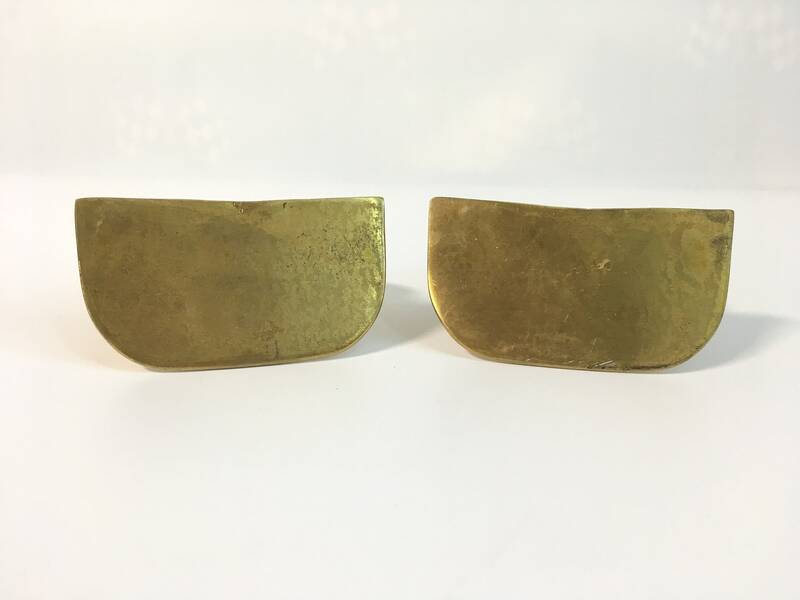 before packaging for shipment. 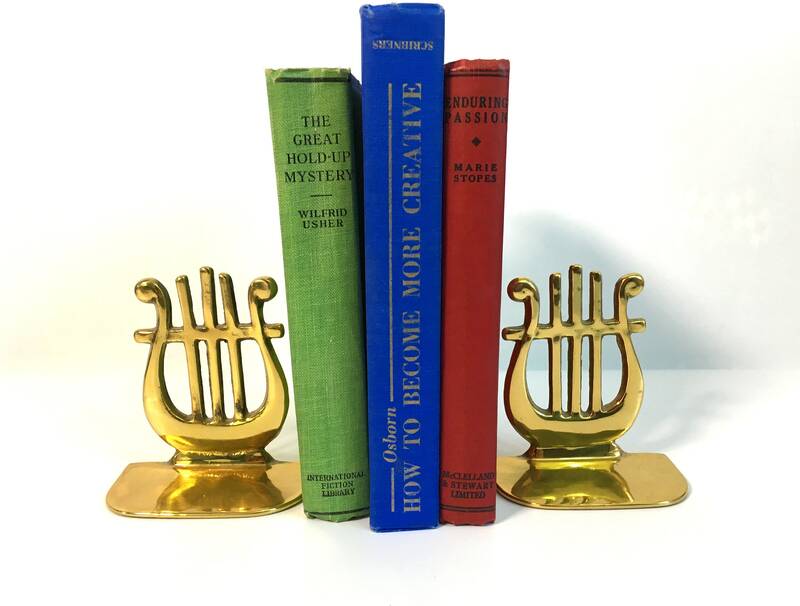 Great addition to the study, practice room or library of any music lover!